It's not long until CODE return to La Cheetah and we will be welcoming back a guest who's appearance was a real highlight last year, Developer. Hailing from the City of Angels, Developer has become a prominent figure in the global techno scene with his releases being played and charted by many of the world's leading techno DJs. 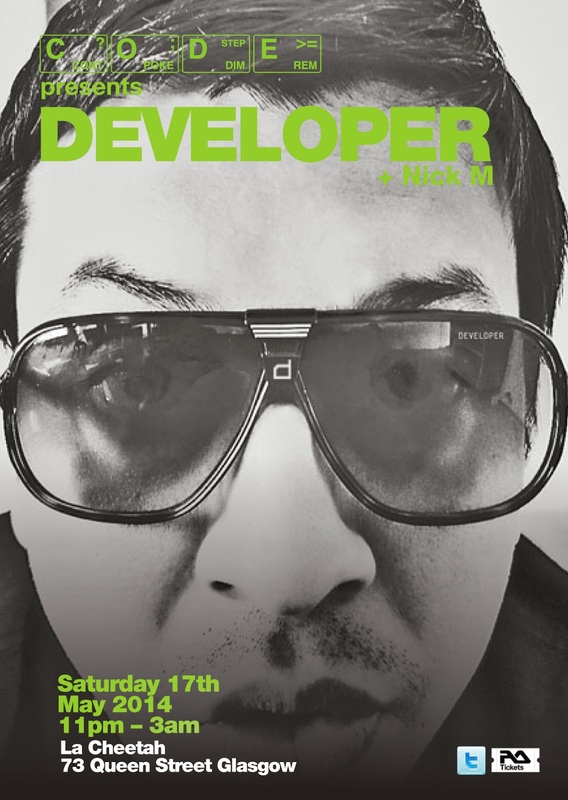 Developer's current approach to DJing comes naturally with the evolution of technology using computers and controllers combined with a strong library of deep, dancefloor techno and house influenced tracks. Developer continues to thrive as one of the most interesting techno producers and DJs from the USA. His own label Modularz features productions and remixes from some of his early contemporaries in Los Angeles as well as a handfull of selected talents both established and emerging from around the world. Developer also releases music on a wide range of other top labels such as Pole Group, Mote Evolver, Semantica, Warm Up, Truncate and MindTrip. CODE are pleased to bring Developer back to La Cheetah to join us for another great night of deep, dark and driving techno. Support from CODE resident Nick M.